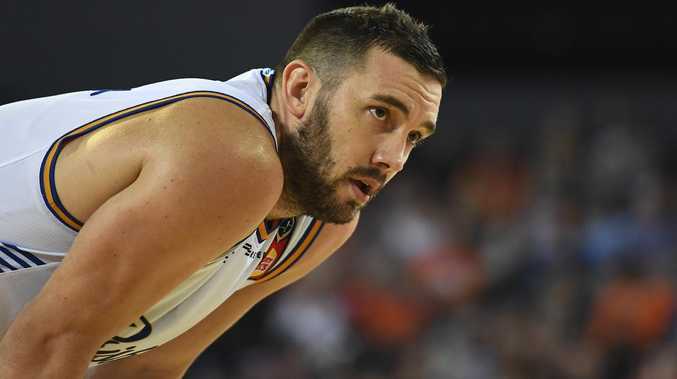 THE misfiring Brisbane could officially be out of the NBL finals race on Sunday after a shooting shocker on Saturday in their 79-68 loss to wooden-spooner Cairns. If the fourth-placed Adelaide (14-12) beat Melbourne in Adelaide on Sunday, the Bullets cannot make the top four. They are done, dusted and busted. If reigning champion United win, Brisbane need to beat New Zealand next Saturday night and hope the 36ers lose to Perth in Perth on Friday, with percentage to decide their fate. The ice-cold Brisbane team have only themselves to blame if their tilt for the finals falls short after losing to the worst team in the competition for the third time this season and their fifth match in their past six outings. Brisbane went at an overall clip of 38 per cent from the field (26/67) and 24 per cent from three-point range (8/33) to essentially shoot themselves in the foot when it mattered most. The Bullets (13-14) could not hit the side of a building in the first half, handing the Taipans vital momentum. 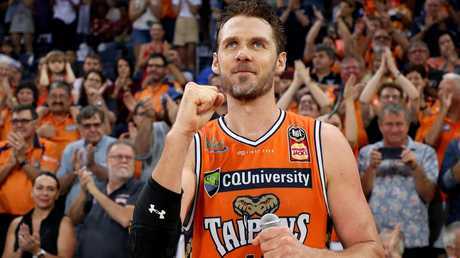 A bumper crowd converged on the Cairns Convention Centre to farewell retiring Taipans captain Alex Loughton, who was playing his last home game, and they found voice when Brisbane could not buy a bucket. Loughton got Cairns' first basket with a long bomb and took a charge soon after to set the defensive tone for the home side, which had just won four matches from 25 before this game. Three of their five wins have come against Brisbane, who will lament their poor record against the Taipans. If you can only beat the bottom side once in four attempts, you don't deserve to make the playoffs. Brisbane closed to within two points of Cairns in the last quarter but a tech foul on import Lamar Patterson and some clutch buckets from the Snakes got the Taipans home and gave Loughton a fitting farewell. Loughton's drive to the basket in the final minute sealed the win and he punched the air with delight. 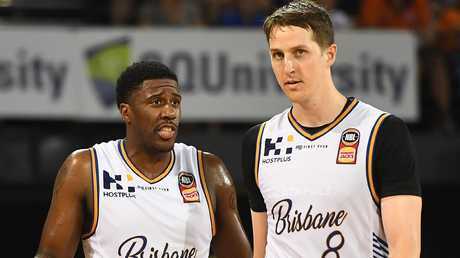 Jeremy Kendle top-scored for Brisbane with 17 points and Patterson registered 16 points. Melo Trimble led the Taipans with 23 points, while Loughton added 11 points and five boards. The Snakes shot out to a 15-point cushion early in the third quarter before Bullets pulled back the margin to seven points heading into the last change. Brisbane did well to trail Cairns by only seven points at half-time given the Bullets' diabolic shooting in the opening two quarters. Patterson hit the first shot of the match and Brisbane proceeded to miss their next 14 field goals attempts before Adam Gibson ended an eight-minute scoring drought. Brisbane had hit 12 shots from 33 field goal attempts by halftime, with just three three-pointers from 14 attempts. 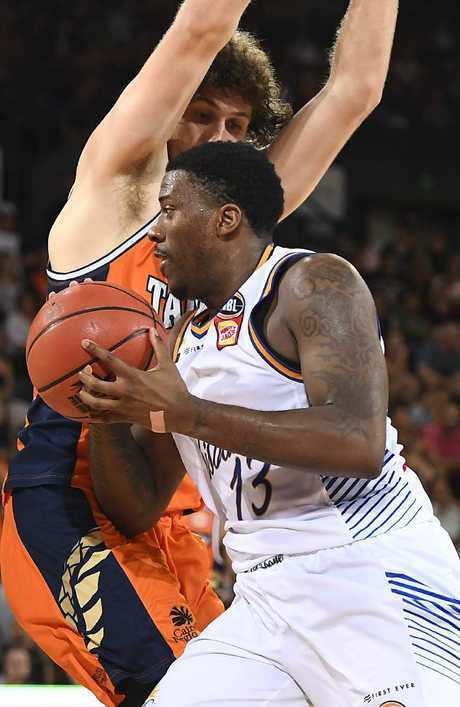 The Taipans led 18-11 at quarter-time to keep Brisbane to their lowest first-term score of the season and they took a 39-32 buffer into the main break, with the Bullets' 32 points equalling their lowest scoring half of the campaign.